Sometimes it looks blue, sometimes silver, but I do believe it’s a denim coloured shirt. 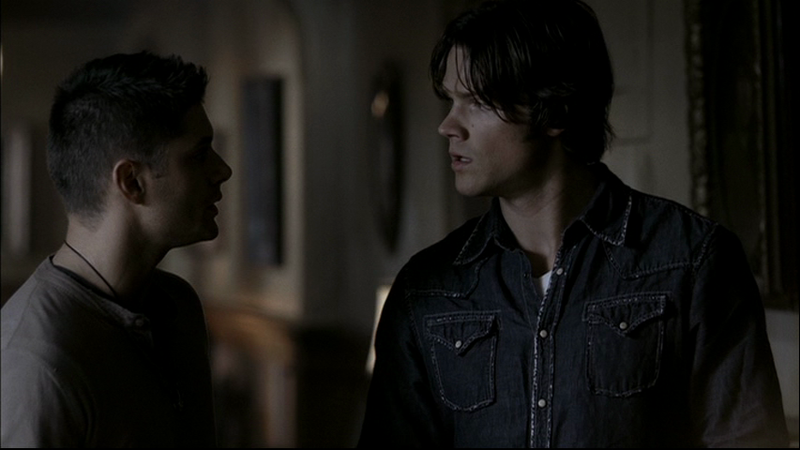 It’s got very visible frayed edges, two breast pockets (with flaps) and like many of Sam’s shirts, it’s cut in a western style – also, like many of Sam’s shirts, it does up with snaps. In The Usual Suspects (2x07), Sam wears it at the coffee shop, when Dean finds the case in the newspaper. 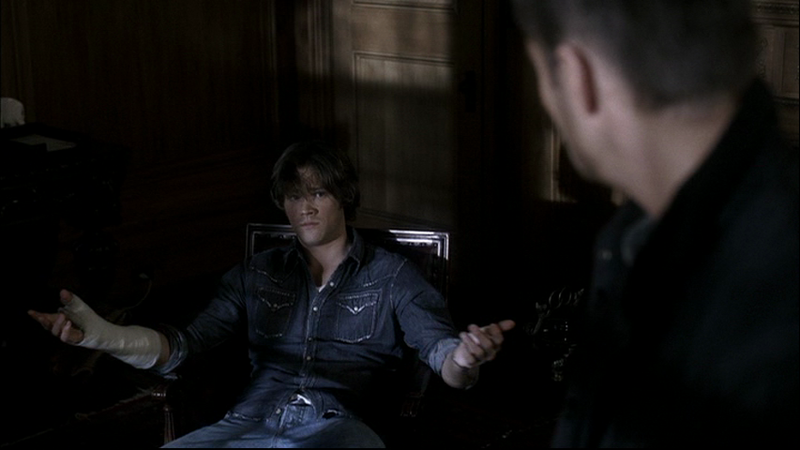 In Playthings (2x11), Sam is wearing this shirt upon arrival at the haunted Inn. He ends up eventually falling asleep (while drunk) in it. Understandably, he is not wearing it when we see him suffering from a hangover the next morning.